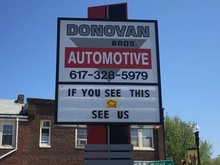 Donovan Brothers Automotive in Quincy, MA offers same-day service for most types of repairs. We are ASE-certified and a Massachusetts State Certified Emissions Facility. For accurate automotive diagnostics, quality repairs, and excellent customer service, turn to Donovan Brothers. We are backed by more than 30 years of experience in diagnosing and repairing domestic and foreign vehicles. We do not take part in hard sell tactics, and we don’t force our clients to pay for unnecessary services. Instead, we do our best to educate them on the nature and necessity of the services we recommend. We are a MA state-registered emissions repair facility. We possess a certification in Automotive Service Excellence (ASE). We offer quality service at fair rates. We possess a vast knowledge of automotive products. If your vehicle failed the state emissions test for safety reasons, you are not legally allowed to drive it. Contact us so that our automotive technicians can discuss with you how we’ll fix your car’s safety issues. Let us help you get your car back on the road. If your vehicle failed the state inspection for emission-related reasons, you have 60 days to get your car repaired and re-tested. Visit us so we can look over your vehicle, diagnose the cause of your emission issue, and fix it before it worsens. We are just a minute walk from the Wollaston MBTA line. Instead of waiting for the work on your car to be completed, you can simply leave it with us, take the T to work, and pick up your vehicle on your way home. There’s also a bus stop right across the street. To set up an appointment for our services, please call us in advance. “Friendly, thorough, and accommodating. Would not hesitate to come here again! We took our aging Volvo here after it had failed emissions, and they were very reasonably priced and fixed the problem quickly." 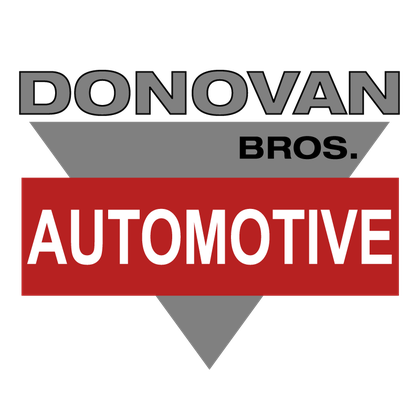 “Donovan's is a rare commodity in auto repair - good work, no BS, and spotlessly clean. I took one of my cars there on a recommendation about 5 years ago and have been a repeat customer ever since (extra effort since I live 20 miles away). At first, I thought I'd use them for simple stuff like brakes but found that they are factory certified in just about everything including hybrids. They have all the diagnostic computers, etc. I've never had any kind of problem with the work they've done and I just get the impression that if there was a problem, they would take care of the issue." © 2019, Donovan Brothers Automotive. All Rights Reserved.